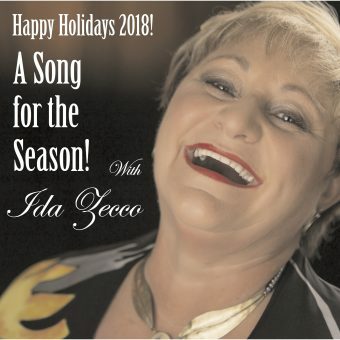 Bring in the joy of the season with this yearly, perennial favorite performed by Ida Zecco, award-winning Cabaret Artist. This production merges holiday music, stand-up comedy and theatrical monologues into a richly packaged performance. Ms. Zecco sings selections from her successful, CD “A Song for Christmas,” which has sold over 100,000 copies, world-wide. It is perfect, holiday entertainment—funny, always beautifully musical and a show that just glitters with seasonal cheer!